The Land Registry has recently made public details of foreign-owned UK properties - many of them held by companies in tax havens, where the ultimate owners can hide behind the anonymity that looser company registration regulations in those territories permit. An interrogation of the Registry data base has thrown up details of 22 sets of properties in Forest Gate. In September 2015 we covered a number of them covered in a data base put together on behalf of Private Eye - now relocated immediately under this article.. The Land Registry records have thrown up 14 new sets of properties in E7, listed below. These include The Gate library, the Iceland supermarket, a care home, a private school and a number of premises sub-divided into flats. This article also updates details of nine property portfolios covered in our previous article. Seven additional properties from the earlier article are not detailed in the Land Registry list - suggesting that they may have been sold over the last two years - these too are also referred to. The company owning the most significant one - City Gate House on Romford Road - has fallen into liquidation since the earlier blog - see below. It should be said at the outset that it is not illegal for a UK citizen to transfer property to an overseas company, and there is probably nothing unlawful about anything that is covered below. But, this simply illustrates how weak British company and taxation laws are - as highlighted by many of the revelations emerging from the recent so called 'Paradise Papers' leaks. While successive governments have claimed to be clamping down on tax avoidance, in order to collect sufficient funds to pay for much needed public services, almost nothing has been done to close this huge loophole. People with substantial assets, or property holdings, are able to set up companies in tax havens and transfer their assets to them. In doing so, they can easily avoid paying the level of taxes to the UK government that they would need to, were they registered in the UK. And herein lies a basic hypocrisy. These companies, depending on how they are structured, can save their arms-length UK owners huge amounts in taxes; income or corporation taxes from rents and/or Capital Gains Tax (CGT) from profits made on the sale on the properties. The cost to the exchequer nationally of this avoidance runs to many billions of pounds per year. It is difficult to estimate how big a "saving" for the proprietor, or "loss" to public services, the companies listed below account for, but it must run to tens of millions annually. At the same time, some of the companies below will be more than happy to pick up public funds from the properties held in these tax havens: from Housing Benefit from the tenants in flats and houses, from rents for libraries and civic premises, from fees on behalf of care home residents, or from tax exemptions around private school fees, without being willing to contribute to the public funds that enable the services to be provided. The result: public services are deprived of much needed funds by some people who are significant beneficiaries of them. Illegal? - no. Immoral - absolutely. Public and political debates about tax levels in the UK are rendered almost meaningless until "loopholes" such as these are closed and that wealthy people pay their taxes on an equitable basis with the rest of us. The details outlined below throw up another angle on the "convenience" made of overseas property ownership. We have cross-referenced many of the properties below to Newham Council's planning website, and on the residential property licensing details the site provides. Several of the properties have been subject to changes of use, or extensions being built since they were registered as being owned abroad. In no cases are details of the overseas ownership declared on the publicly available documents on the council's website. Planners and the like, when considering correspondence and plans relating to these properties, end up dealing with agents, and what appear to be smokescreen UK-based companies, blissfully unaware of the tax haven-based ownership of the buildings. Again - nothing illegal; but an indication that foreign based ownership is used as a convenience for tax avoidance purposes, but is not declared when dealing with other arms of the state. Perhaps if the council were aware of the tax-avoiding ownership of the properties they are considering, they would be in a stronger position to extract concessions (known as Section 106 agreements) from the property owners, to compensate for income denied to the exchequer by tax avoidance, when determining planning or change of use proposals for them. The residential property licensing aspect of the site, however, throws up another, intriguing factor. You must have a license for every home that you rent out privately in Newham. If you don't, you could face a fine of upto £20,000. We have run all the properties, below, against Newham's publicly available register of licensed residential rented properties. Some have been registered - but only one, as far as we can ascertain, in the name of the tax-haven ownership company. There are however, up to a dozen other properties that are almost certainly rented out, but have not been registered under the local licensing scheme. Wouldn't it just be a little satisfying, if they were brought to book by Newham and forced to pay that £20,000 - to show the ultimate owners that they are not entirely our of the jurisdiction of British law - and thereby have to contribute a little to public coffers - by way of a fine - of what they have tried to avoid by hiding in a tax haven? Flat D, 87 Idmiston Road - registered as owned by Laneside properties in the Isle of Man (IoM) on 8 March 2001. There are a total of 17 properties registered as owned by this company, across North and North-East London. There is no Newham council licence to let this property for residential accommodation. 69a Pevensey Road - registered as owned by Sunrise Capital Services, in the British Virgin Islands (BVI). There are a total of 22 properties registered as owned by this company in Hackney, Waltham Forest and Newham. See 65 Dames Road, another local property by Sunrise, immediately below. There is no Newham council licence to rent this property as residential accommodation. 65 Dames Road - registered as owned by Sunrise Capital Services, BVI on 21 October 2016. Another property in the Sunrise portfolio is 69a Pevensey Road - see above. There is currently a Newham council licence, granted to Arshad Shahed - no address given - to rent this property as residential accommodation. 4-20 Woodgrange Road (Donald Hunter House) - registered as owned by Stratos Holdings, in Guernsey, on 15 October 2014. This is the only property owned by the company, in the UK. It includes both The Gate library and Iceland stores. So, Newham Council will be paying rent to Stratos in order to run a library there, but Stratos will skip a major obligation to help fund public services, like - libraries! 29 Upton Lane - registered as owned by Sunshine Investment Devices Ltd, in the BVI on 17 January 2017. There are 8 properties owned by this company in London. Three months after this property was registered in the BVI, Mr Shahed of Queen's Road Walthamstow was "the applicant" for planning permission, which was granted, for building a garage at its rear. The premises is licensed by Newham council to be property letting agents. 362 Romford Road - registered as owned by Orellan properties Ltd, in the BVI on 2 November 1998, when valued at £116,000 - probably worth in excess of £1,000,000 today. Think of the Capital Gains Tax (CGT) to be "saved"/tax lost to the exchequer when it is sold. This is only property owned by the company. In 2002, at least three years after the property was registered in the BVI, a UK-based applicant, Mr Baulackey of Highbury submitted, and was granted planning permission, to turn it into a care home. No mention was made in the application of its BVI- based ownership. 45 Glenparke Road - registered as owned by Tranmorne Properties, in the Seychelles on 6 April 2003. This property has a Newham council licence granted to Home Connect Ltd to let it as residential accommodation. 115 Dorset Road - also registered as owned by Tranmorne Properties, in the Seychelles, on 25 June 2003. See 45 Glenparke Rd, above - these are the only two properties whose ownership is registered to this company. This property has been granted a licence by Newham council, to Nazir Hanif, to be let as residential accommodation. 21 Studley Road - registered as owned by Felixstow Ltd, in the BVI, on 24 May 1999. There are two properties registered as owned by this company, the other one is in Croydon. There is no Newham council licence to let this property as residential accommodation. 478 Katherine Road - registered as owned by Glenhalgh Australia, in Australia on 6 April 2017. There are seven properties registered as owned by this company - the other six are also in Newham: 371-373 Green Street; 284 Barking Road; 65 Plashet Grove; 131 The Grove and 1a Manbey Park Road. 179 Monega Road - registered as owned by VRP Holdings, in Jersey on 20 April 2016, when valued at £440,000. This is the only property registered to VRP. There are two flats at this address licenced by Newham council to be let as residential accommodation, to Mohammad Waqas and RG Properties Ltd, respectively. Grangewood Independent School, Chester Road - owned by, Associate Properties, in the IoM, valued at £2,300,000 when the company was registered. Associate Properties own seven bundles of properties, including 128-130 High Street North, East Ham (see photo), plus high street properties in Croydon, the White Swan pub in Greenwich and property in Hoxton St, Hackney. 128 - 130 High Street North, East Ham. has tax-haven owners - see above. Flats 66, 67, 69, 68, 70, 71 Lumiere Building, 544 Romford Road - registered as owned by Xanthe Ltd, in Cyprus. Each flat was valued at £78,000 (probably worth £280k plus, today. Think of the CGT savings/loss to the exchequer on sale when sold (i.e. gross capital gain of £1,000,000). In addition to the Lumiere buildings, Xanthe owns property in Portsmouth, including the Allders car park and land and buildings in Surrey Street and Commercial Road. Newham council has granted no licences to let any flats at this address. This seems worthy of an investigation by the licencers! 44 Thorpe Road - registered as owned by Long Smart (China) Ltd in Hong Kong. It was valued at £90,000 when registered. Probably worth c £500,000 today - think of CGT savings/loss to the exchequer. The Thorpe Road property is the only one owned by Long Smart, and is in Waltham Forest. 27 Knighton Road - registered as owned by Tarleton Holdings International, BVI, on 7 April 2005 at a value of £170,000. Tarleton owns three other properties, all in Ilford. Newham council has granted no licences to let any accommodation at this address. 99 Green Street - this Asian restaurant was registered as owned by Cranbrook Property Investment, BVI, with a book value of £500,000. In addition to the Green St address, the company owns property in Cranbrook Road, Ilford. Newham council has granted no licences to let any accommodation at this address. 50, 50a, 50b, 50c, 50d Avenue Road - registered as owned by Dominion Ltd, IoM on 18 May 2012 These are the only 5 properties registered as owned by the company. This collection of flats was formerly a hostel owned by London and Quadrant Housing Association. Persistent, unresolved dampness problems with the premises, however, lead to the HA to sell it on and move the residents elsewhere. This explains the reasons for the sale of the properties, but not why they went to a tax-haven company, with a registered value of around £600,000. Newham council has granted licences to Zahur Ahmed Chaudry with a business address in Romford to let three flats at this address for residential accommodation. 113 Earlham Grove - registered as owned by Northern Trading, Gibraltar on 6 August 2007, valued at £750,000. There are two properties owned by the company in London, the other is in Hounslow. About the time the property was registered in Gibraltar, it owners, through agents in the UK, applied to Newham's planners to have it converted into four separate dwellings. No reference was made to its Gibraltar ownership in the publicly available files on the Newham website. The application was approved. Newham council has granted 3 licences to Urban Spectrum Property Management Ltd and one to Hassan Yassin to let residential accommodation at this address. 10 Crosby Road - registered as owned by Balinara Ltd Guernsey on 10 June 2011. This is only property registered as owned by the company. Newham council has granted a licence to Balinara to let the property for residential accommodation. Sherrard Works - registered as owned by Sherrard Road, Sherrard Works Ltd, IoM on 29 October 2012, with a book value of £1.5m. This is the only property owned by the company. It is a large, antiquated industrial site, behind the restaurant at 99 Green Street (see above), bought, presumably with housing development in mind. It is difficult to establish its value today - and that will be determined by any planning permission may be given for its re-development. Whatever proposals are accepted by the planners, the tax-free profits accruing to the tax-haven based company will be considerable. 1 - 12 Sycamore Court, Romford Road, registered to Abacus Land4 Ltd, Guernsey on 6 June 2017. AbacusLand4, as its name suggests, is a land, rather than buildings-owning company. So, it owns the freehold of the land on which these flats sit, rather than the flats, themselves - which are frequently up for sale or let, as individual units. The company's income will come from the annual ground rent of the flats, and full ownership of the flats and land on which they are built will revert to Abacus on the expiry of the lease. The company owns 1214 plots of land in the UK, including in the south of Newham, on Gallions Road and Woolwich Manor Way. 326-330 Katherine Road - Tesco's local store and 9 flats - registered as owned by Irlam Properties Ltd, in the BVI on 8 September 2013, with a book value of £870,000. This is the only property listed as owned by Irlam Properties. The new flats alone could be sold for over three times the registered price today, and the Tesco shop will bring in a rental income of at least £50,000 per year. Not a bad tax-free saving and investment for the anonymous faces behind Irlam! Newham council has not issues licences to let any flat in this block, for residential purposes. These properties have, presumably, been subsequently sold to UK owners, but the previous tax haven-based owners will have sold them - depending on how the ownership has been structured - without the inconvenience of paying CGT on the profits made from the sale or Inheritance Tax, if passed on to another person, on the death of the earlier owner. The first five of the properties listed below are houses. The fifth is the landmark City Gate House building, on Romford Road, and the last one, land and a cluster of buildings near-by it..
23b South Esk Road. This property was registered to the ownership of Excel Venture in Guernsey in November 2013, at a value of £134,500. It would have been worth in the region of £300,00 in late 2015, bringing a potential GCT savings/exchequer loss of around £70,000, when sold. 115 Trumpington Rd. This was sold in the autumn of 2015 for £400,000, having previously been owned by Charming Properties Ltd, in Jersey, since 2007 - bringing a potential CGT avoidance/exchequer loss of around £100,000. 133 and 137 Upton Lane. These two properties were registered to DAS Properties in the BVI for a little over £400,000 in the mid 2000's. They appear to have been sold a decade later for twice the price, bringing a potential CGT savings/tax loss of around £125,000. 45 Chaucer Road. The house was registered to the ownership of YAAS Investments in the IoM in September 2012, for £285,000. If sold recently, it will have doubled in value, bringing a CGT savings/tax loss of over £125,000. City Gate House, Romford Road. This iconic local property was registered in the name of BCP City Gate in the IoM in July 2015, with a book value of £3,658,840. It was, however, put in the hands of liquidators on 10 April 2015. It is difficult to know how this could have occurred - dreadful mismanagement, or another sleight of hand, designed to avoid even more tax. Land property in and around 286 Romford Road and Nursery Lane. This was mainly low-quality commercial or industrial premises and unbuilt-on land. It no longer features on the register of properties held by overseas-based companies. Some of it was subject to a recent "unfortunate" fire. Much of it is now within the footprint of a proposal for housing redevelopment, currently with the Newham planning process for consideration. The details in this article are all based on Land Registry files, some Newham Council files and the database created for Private Eye in 2015. If any of the information is incorrect, we invite the property owners to correct any errors, and we will happily amend the details above. Meticulous work by Private Eye and friends has tracked down over 100,000 properties in the UK owned by companies based in overseas tax havens - usually for tax avoidance purposes. This pattern of property ownership is, of course, well-known in such up market areas as Mayfair and Knightsbridge. More surprisingly, perhaps, the tentacles of the trend are beginning to stretch into Forest Gate. Using Private Eye's detailed, inter-active map (see here) we have located more than 20 such properties in E7, and provide details of them and their "owners" in the article and photos, below. We would put a conservative estimate of their collective value today of around £20 million. Readers may be able to offer further details about these properties and the people behind them, about which, we and Private Eye would be delighted to hear. Below is a list of all local properties registered in overseas tax havens between 2005 and 2014, with, in some cases, details of the purchase price recorded at the time of registration. The tax advantages gained by foreign registered company ownership include the avoidance of Capital Gains Tax (usually 28%, after allowances) and Stamp Duty (rates varies according to price) on their sale and purchase (though there has been a recent attempt to tighten up on the latter) and the ability to pass the properties on, without incurring Inheritance Tax (40% after allowances), on death. The sums saved can, of course, be huge, depending on the values of the properties in question. The fact that the companies owning the properties listed below are registered overseas means that little can be established about their ultimate owners, or beneficiaries. They may be UK citizens who prefer to spend their money on hiring the services of expensive lawyers and accountants to arrange their tax avoidance affairs, than to pay tax, and thus contribute to public services. They may be genuine foreign nationals, with diverse assets portfolios, or they could be people with dubious records to hide (money launderers, drugs dealers, criminals or kleptocrats). The British exchequer looses £ billions, annually, by the kind of tax avoidance practiced by many of the foreign companies listed below, and their ilk. It is unlikely that the present government will do too much to curtail the practices for as long as the Conservative party is recipient of donations from many of the beneficiaries of such schemes. About half the properties listed are simple domestic houses. Given property inflation, tax savings from foreign registration could exceed £30,000 p.a. per property - as shown in a couple of examples. There are a second set of properties which are, broadly, obviously commercial. They constitute a mixed bunch, from a fairly prestigious office block, through some industrial property to some rather strange clusters of land, which could, at some stage, be used for a lucrative residential or commercial development. The final property, to which we draw attention is a former pub, which has been converted into nine flats, with a supermarket attached. According to the "owning" company's declaration, that has probably increased in value by about £2,000,000 since registered - saving the owner (depriving public services) of about £500,000 should it be sold, today. The fate of that former pub is becoming increasingly common these days, and the money to be saved from tax-haven registration of the developments are considerable. 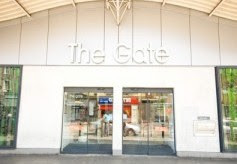 The City Gate building (above) on Romford Road (246 - 250) was registered as being owned by BCP City Gate, based in the Isle of Man, on 8 July 2005, with a value of £3,658,840. These are listed in alphabetical order of the names of their streets. Five properties, all at this address were registered as being owned by Dominion Ltd, Isle of Man in May and June 2012. They were number 50 (no price recorded), 50a (£192,000), 50b (£158,900), 50c (£204,275) and 50d (£122,650). This house was registered to the ownership of Yaas Investments, in the Isle of Man, in September 2012, with a value of £285,000. This company was also registered as owner of nearby 314 Cann Hall Road, in July 2013, with a value of £800,000. This terraced house was registered as being owned by Balinara, incorporated in Guernsey, with a value of £247,750, in June 2011. This property was registered as owned by Gibraltar based Northern Trading in August 2004, for a value of £750,000. This house was registered as owned by Tarleton Investments, based in the British Virgin Islands in April 2005. No details of the purchase price are logged with the Land Registry. This is a small 12-unit residential block, which was registered as being owned by Almond Land, in Guernsey. For reasons that are not altogether clear, it was listeded as costing £20,648 - which represents less than 1% of its current value. If it were sold today, the Capital Gains Tax saved would be in excess of £500,000. This flat was registered as being owned by Exel Venture in Guernsey in November 2013, with a value of £134,500. It is worth nearer £200,000 today - meaning a potential Capital Gains Tax saving of approximately £25,000. This two-bedroom property has recently been sold for £400,000, after a major refurbishment. It was previously registered, in September 2007, as being owned by Charming Properties, based in Jersey. A considerable capital gain will have been made - and no tax paid on it. These two neighbouring properties have been listed as being owned by British Virgin Islands based compan, DAS Properties. 133 was registered in March 2005, with a value of £165,00 and 137 in 2007, with a value of £250,000. There are three plots of land in and around Romford Road, almost adjacent to the City Gate office block (see above), all owned by a St Vincent and Grenadines company called Loesch. One is described as "land adjoining 286 Romford Road", and was registered to the company in March 2007. A second property is described as "land adjoining 8 Nursery Lane". Nursery Lane is a long and uninviting alleyway, just behind Romford Road, off Upton Lane. The land value was registered with a value of £110,000 in 2008. The third piece in that area is 10 Nursery Lane, registered with the company to a value of £75,000 in 2007. These three pieces of land will probably be joined up and form the footprint of a significant commercial or residential development at some time in the future. The capital gain from these seemingly valueless chunks of land will, then, be considerable - all tax free, of course. This Asian restaurant was registered to Cranbrook Properties in the British Virgin Islands in 2012, to a value of £500,000. This is a large, antiquated industrial property, running behind the restaurant, above, with a side entrance into Sherrard Road. It, too, was registered to a British Virgin Islands Company, in 2012 - Sherrard Works Ltd - with a value of £1,500,000. The footprint of these two properties is very large and could form the basis, planning permission dependent, of a considerable residential development - with a large value and consequential tax-free capital gain. This former pub site has been developed into a unit of 9 flats, with a Tesco Local occupying the ground floor. It is typical of the fate of many former large, corner, Victorian pubs. It was registered to the ownership of a British Virgin Islands based company in 2013, with a value of £870,000. The nine flats could now be sold for in the region of £2.5m, and the Tesco's could probably command an annual rent of £30,000. Not a bad, tax-free, return for those behind the company with its very British sounding name - Irlam Properties Ltd. The facts relating to the tax-haven ownership of each of the properties highlighted above is indisputable. Some of the speculation about levels of tax-free capital gains and tax avoidance may be challenged by the overseas owners. If so, we would be delighted to hear from them, and would welcome the opportunity to set the record straight. As it is, in the absence of information about the beneficial owners, it has been difficult to contact them for clarification about their motives and financial benefits. Labels: City Gate, Money Laundering, Offshore Properties, Private Eye, Residential Property, Romford Road, Tax Avoidance, Tax Havens, Tesco.